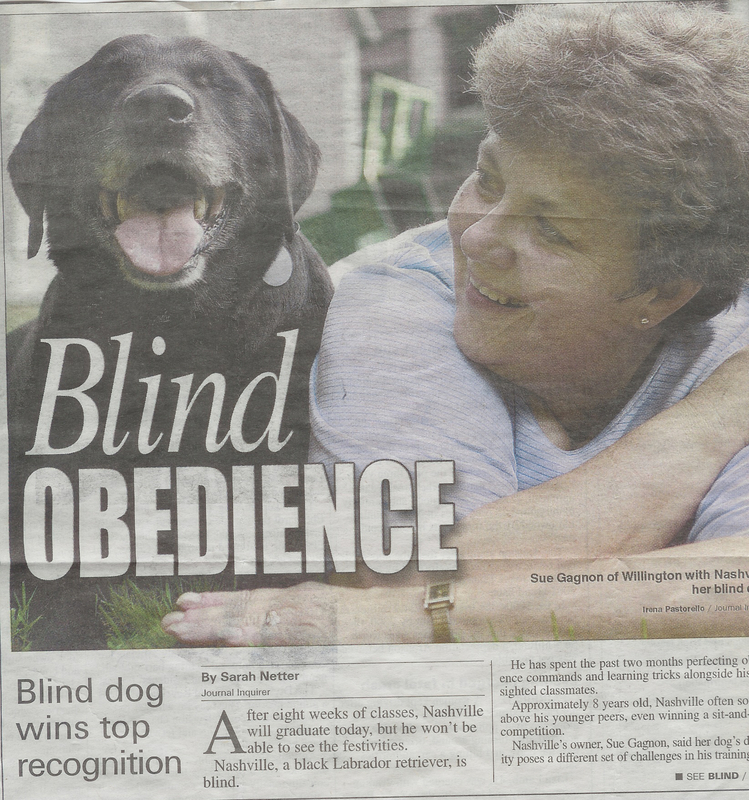 TOJ member Sue Gagnon and Nashville, who is blind, were featured in a Journal Enquirer article about the challenges of training a visually impaired dog. "It takes adjusting," Sue says. "You have to keep remembering he can't see." She has also taught him commands such as "Careful" to let him know he is about to bump into something. Nashville and Sue are registered Delta Society Pet Partners and provide therapy visits at Windham Hospital and Woodlake at Tolland, a healthcare facility. They are also participating in the new Story Tails R.E.A.D. program after receiving additional training.